The world may have discovered Afghanistan’s what was happening to women under the Taliban after the towers fell on September 11th, 2001 but women and girls in Afghanistan had been paying the highest price living under the brutal rule of the Taliban since 1996. 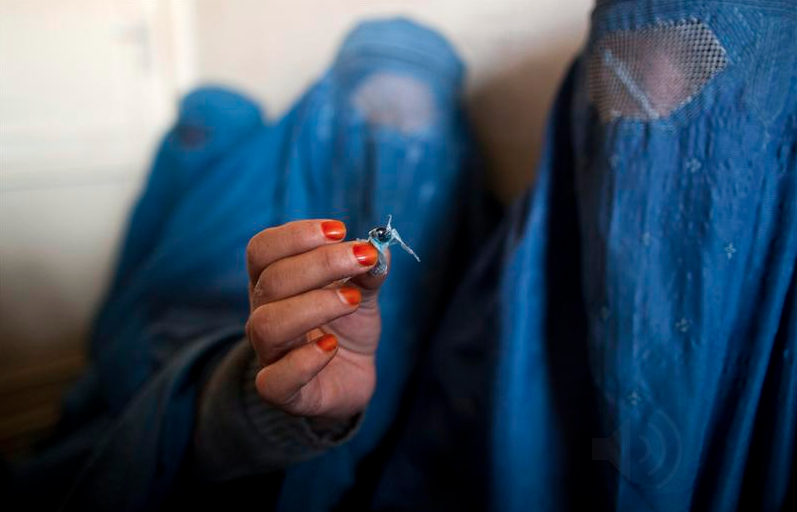 Forced to endure invisible lives in the shadows of a nation overrun by former Mujahideen, and spoils of the Russian invasion, Afghan women were denied education, healthcare, the right to work, leave their homes, and always had to be covered in the all-encompassing iconic blue burqa, while accompanied by a male relative. We have all heard the stories of the history of Afghan women’s repression. We have all been fed the stories of how “lifting the veil” on women would be the key to the country’s path to prosperity, and under their US Invasion, over the past decade, we have seen glimpses of moderate improvements for Afghan women and girls. …Bebehaja is 60 now. She’s covered in a stained, blue burqa so I can’t see her face, but I hear the weariness in her voice. She tells me the dirty secret that everyone knows: the most important material in carpet making in Qalizal is not wool, but hashish…Women like Bebehaja use hashish routinely three times as day. They smoke and eat it at breakfast, lunch, and dinner. It’s so ubiquitous in the region that women can secretly buy it from shopkeepers…In order to spend long hours at the loom, women here routinely feed their young children hashish as well. Mothers secluded from society, denied the right to actively and openly participate in the development of their country, turning to drugs , having no choice but to allow their addiction to consume their children as well is disturbing to say the least. But what is striking to me is how this mother to child drug addiction is a larger metaphor for Afghanistan’s gender tragedy. The systematic oppression and exclusion of women, their lack of access to resources, everything from healthcare to education to childcare are all represented in the gendered impact of the country’s drug crisis. Of course, poverty plays a huge role in all of this, but systematized sexism, being justified as Afghan “culture” is the bigger problem. Afghanistan is the world’s largest heroin producer, and while international forces work to curb that reality, drugs are silently claiming the lives of thousands of women, and their children on the home-front. When a woman is educated, she passes on that knowledge to her children, pushing them to go to school. When she is able to work, and earn a decent income, a woman will directly invest in her family’s future, to make sure her children can thrive. When a mother is healthy, her family is healthy. But when women are denied their basic human rights, the entire family suffers. When women feel hopeless about their future, and turn to drugs for relief, they take their children down that path with them. Compounded by oppression and forced seclusion, Afghan women appear to have little choice. 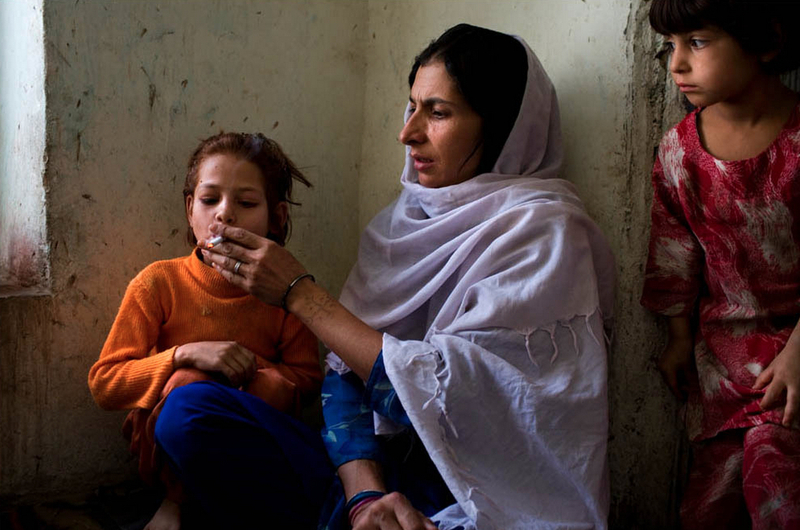 If we needed more evidence of that, the country’s gendered drug crisis provides us with ample evidence that as generations of Afghan women’s unrealized potential go up in smoke, their children’s lives are, too.